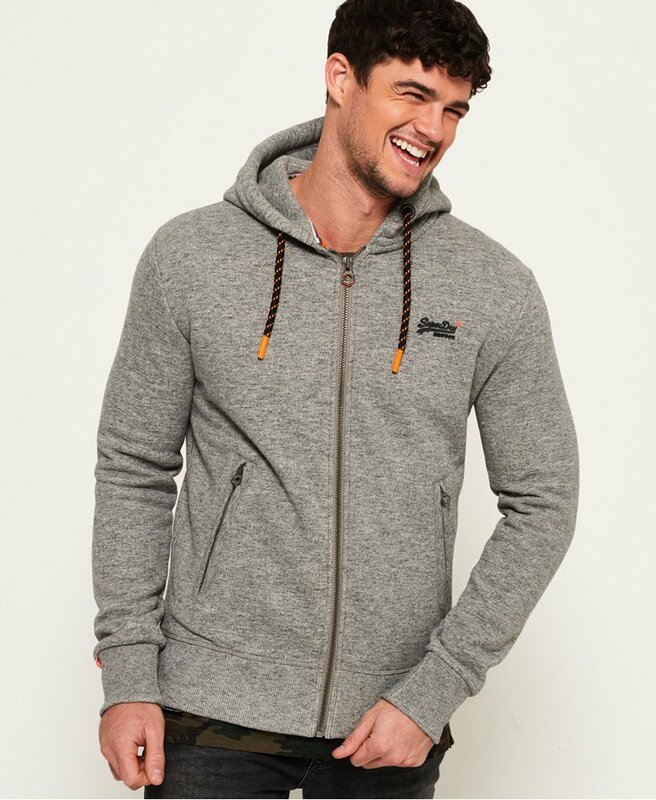 Superdry men’s Hyper Pop zip hoodie from the Orange Label range. This zip hoodie features a fully fleece-lined body, hood with bungee cord adjusters and two front zip pockets. The hoodie is finished with a subtle rubber Superdry logo on the chest, a Superdry logo tab on the sleeve and the signature orange stitching in the side seam. The perfect everyday hoodie.